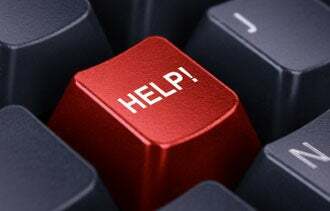 The Beatles once famously sang, “Help! I need somebody.” That’s a sentiment that might be on your mind, too, if your business hits a rough patch. As a franchise consultant, I often remind people of a chief reason for buying into an established chain: You’re not by yourself. A good franchisor, whether it’s a big player like Burger King or a smaller chain such as Moe’s Southwest Grill, should provide critical support if your location runs into a cash crunch or suffers a loss of customers. That’s part of the appeal of buying into a franchise rather than starting a business from scratch. If you’re thinking about becoming a franchisee, ask existing franchisees about the support they’ve received from the parent company – or ask the franchisor itself about its commitment to franchisees, especially in a tough economy. If you’re already a franchisee, but are experiencing a setback, don’t be afraid to ask your franchisor for assistance. 1. Sales. In the beginning, franchisors typically offer lots of initial and advanced sales training as a normal part of their support services. But in troubled times, franchisors can step up their game by sending their own staff into a franchisee’s location to provide real-world training and extra help in signing up clients. The franchisor also might establish mentoring programs to rapidly increase a franchisee’s skills, or share real-world knowledge and timely best practices from other successful franchisees. Finally, the franchisors can bring in outside expertise by hiring sales experts to provide state-of-the-art professional sales training to franchisees. In recent years, I’ve seen a number of service-based franchises – Fish Window Cleaning, Dryer Vent Wizard and PuroClean, among others – help franchisees in this way. 2. Marketing and public relations. Especially for consumer-product franchises, marketing is key for driving customers into the business—and that’s particularly true in challenging economic times. The best franchise companies are revising and updating their advertising campaigns to stress value and cost savings for customers. They’re also producing support materials to enable franchisees to try “guerilla marketing” to boost sales. Finally, they’re developing PR campaigns that franchisees can execute in their local markets to win favorable publicity for their businesses. Fast-food chains like McDonald’s are perhaps best known for handling marketing in this way, but other franchises, such The Cleaning Authority and BrightStar Care, are also doing it. 3. Supply-costs reduction. In any recession, a strategy for business survival is to reduce overhead by cutting expenses wherever possible. Strong franchise companies are helping their franchisees by doing three things: 1. negotiating better prices of goods and products from current suppliers; 2. putting more of these materials up for competitive bids in order to reduce prices; and 3. ensuring that waste, breakage and spoilage are minimized during the handling of goods and products, creating a more efficient operation. Long-running franchises like One Hour Martinizing use these methods, as do newer entrants like Menchie’s Frozen Yogurt. 4. Financial Assistance. Sometimes, the support outlined so far simply isn’t enough to keep the franchisee’s head above water. In those situations, the franchisor can provide some direct financial assistance to help the franchisee survive until market conditions improve. Common examples would be deferring, reducing or even waiving royalties or other franchise-fee payments. The franchisor might provide special extended terms when a franchisee purchases products or supplies from the parent company, or it might help the franchisee negotiate more favorable terms on current loans or leases. Some franchisors, like Hoodz, Budget Blinds and Title Boxing Club, have created funds to provide direct financing to franchisees to help them bridge the credit freeze that continues to paralyze many small businesses. All of these efforts go beyond what is expected of franchise companies in normal market conditions. There’s usually no contractual obligation for a franchisor to provide any of these services to a struggling franchisee—although doing so, of course, can be in the entire company’s best interest. The extra help can pay dividends for years to come.